WM System Limited specialises in the supply, fitting and marketing of the unique WM System ramps range and vehicle accessories. Having supplied ramps to the UK and Ireland since 1996, we are specialists in vehicle loading solutions for the 21st century. 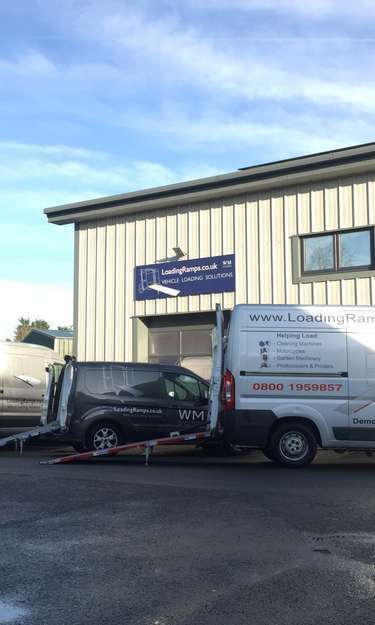 Since WM System Limited was established as a stand-alone company in 2003, we have been able to focus on supplying the best quality loading products to meet individual business needs, whilst exceeding health and safety standards. The ramp range has now grown to over 600 different sizes and models and is still growing. Now into our 2nd decade as WM System Limited, we continue to work closely with the WM System factory to improve our product range and customer service. Our motivation is simple; to supply high quality, economical and safe products for quick and easy loading in to Light Commercial Vehicles and Minibuses. WM System has always been focused on improving work conditions, consequently cost efficiency and respecting environmental conservation. We focus on supplying the best quality loading products to meet individual business needs, whilst exceeding health and safety standards. Our motivation is simple, to supply easy, simple and safe products for quick loading into light commercial vehicles.